Challenging published results is an onerous but necessary task. Today, our article entitled Stripy Nanoparticles Revisited has been published in Small, three years after its initial submission to this journal (3/12/09) and about three and a half years after the first submission (to Nature Materials, 21/07/09). 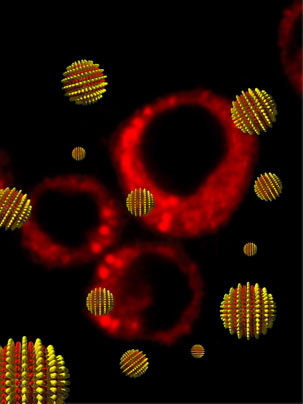 As its title indicates, the article challenges the evidence for the existence and properties of “stripy” nanoparticles. 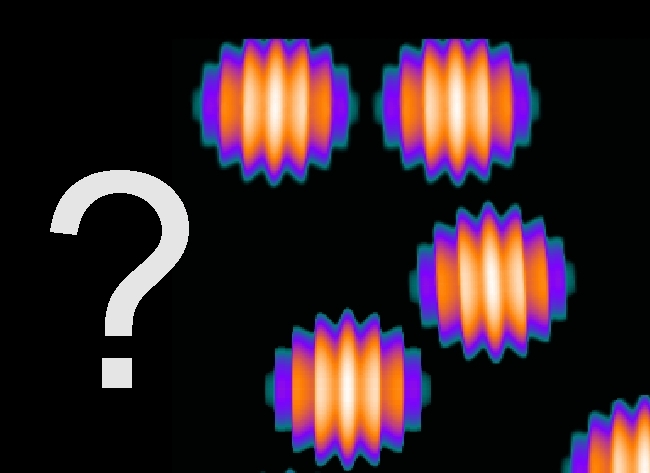 The stripy nanoparticle hypothesis was first proposed in Nature Materials in 2004 by the group of Professor Stellacci (then at MIT and now at the EPFL). This hypothesis now forms the basis of 23 articles by the same group, mostly published in high impact journals including Nature Materials, Nature Nanotechnology, Nature Communications, Science, Journal of the American Chemical Society, Small, etc: 1, 2, 3, 4, 5, 6, 7 , 8, 9, 10, 11, 12, 13, 14, 15, 16, 17, 18, 19, 20, 21, 22 and 23. Our article today is followed by a response from Professor Stellacci. This is a remarkable hypothesis. It did not come from a theoretical argument but from an observation. On the nanoscale, it is extremely difficult to visualize how molecules organize. In the 2004 article, the authors decided to use scanning tunneling microscopy to “watch” molecules on nanoparticles. Scanning tunneling microscopy does allow atomic resolution imaging on very flat surfaces (and its inventors obtained the nobel prize for this reason); it works by scanning the surface with a very sharp tip. It is however a technique which requires particular care in the interpretation as artefacts can easily occur. It works well on very flat surfaces but is not normally used to look with sub-nanometre resolution at very bumpy surfaces such as films of adsorbed particles. In the 2004 article, the authors obtained images and proposed a model to fit these images; in you follow the link (first figure of the 2004 article), you can see some images in the panel a) and b), and the cartoon in panel c). In Stripy Nanoparticles Revisited, we demonstrate that the stripy hypothesis is based on an artefact. First, we show that the images are not compatible with the stripy hypothesis for basic geometrical reasons (if stripes are regularly spaced in 3D they cannot be in a 2D projection). Second, we use an image analysis technique called fast Fourier transform to study the periodicity in these images and we prove that the stripes are in fact an imaging artefact related to the scanning direction. This explains the extremely improbable fact that the 10 “stripy” nanoparticles seen in panel a are all aligned in the same direction; why would they? and can you find what’s wrong in the movie below? In Stripy Nanoparticles Revisited, we also consider some of the follow-up articles and in particular some of the very special structure-related physico-chemical and biological properties claimed and we fail to corroborate those. In summary, Stripy Nanoparticles Revisited shows that 23 peer reviewed articles published over the course of 8 years in prestigious journals are based on a simple microscopy artefact. This perhaps suggests a failure of the peer review system, in particular given that ~ 10 of these articles have been published while our attempt to open this discussion into the scientific community was slowly going from submission (3/12/2009) to publication (23/11/2012). We welcome comments on the scientific argument as well as the broader issue of the process of establishing scientific knowledge. Update 1: Responding to response? Update 6: Alan Dove comments on the web and peer review in his post entitled Do These Stripes Make My Nanoparticles Look Weird? Update 10: Predrag Djuranovic, former graduate student of Francesco Stellacci, explains how he came to the conclusion that the stripes were an artefact seven years ago.